Good morning, friends, and Happy Halloween. I was up extra early this morning letting the dogs out (we're still "grey-b-sitting" Angus and he's not quite as patient as Zelda) when it occurred to me that I'd missed an anniversary. 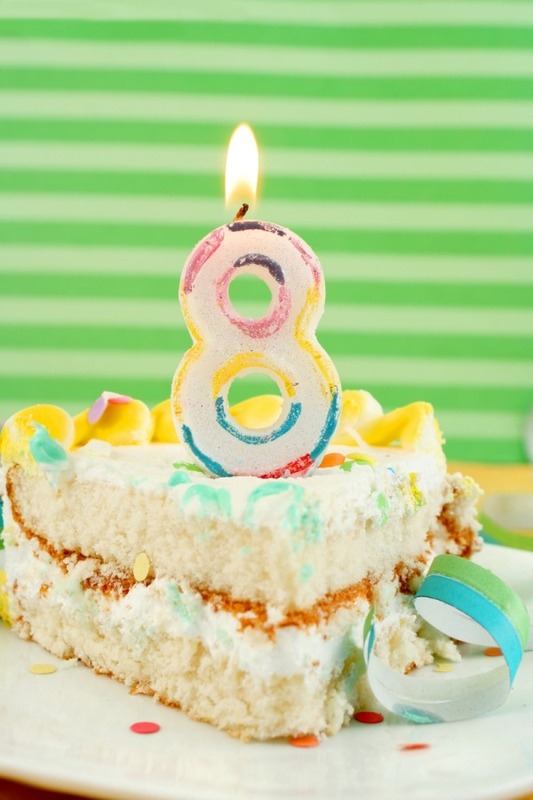 Sometime during all of our travel, fall activities, and dog-sitting, Lakeside Musing turned eight! It's hard to believe that this blog, started on a whim, has become such a long-standing and enjoyable part of my life. In addition to the books, I especially value the friendships forged over the years and the opportunities I've had to meet several of you. 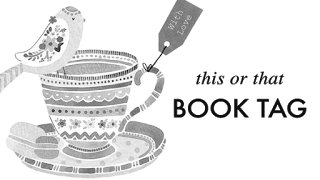 Thank you so much for reading with me, and I look forward to many more years of bookish fun! 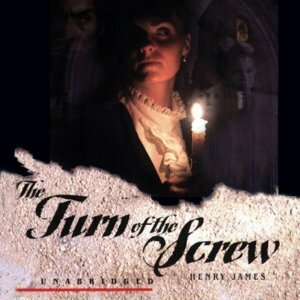 This audio reread was just the creepy pre-Halloween listening I was craving. It's still far from my favorite Henry James novel, but Simon Vance and Vanessa Benjamin's narration made listening a more enjoyable experience than reading. It all seemed slightly more sinister on audio. After avoiding this book for years because of mixed reviews, an upcoming author talk prompted me to finally start reading. I'm approaching 60% now and loving it! The 2006 novel about a group of 30-ish friends in New York City just before 9/11 (which I assume will figure into the story soon) is reminding me of The Interestings by Meg Wolitzer, a favorite from 2013. Yes, it's happening!! More details can be found here. I love this annual event, and it will definitely influence my reading choices next month. 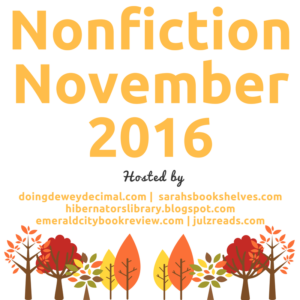 Will your November reading include nonfiction? 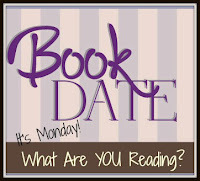 Pat at Posting For Now tagged me for This or That Book Tag, a meme created by Ayunda from Tea & Paperbacks that's making the rounds this week. 1. Reading on the couch or reading in bed? On the couch if I'm serious about reading, I usually fall asleep after ten or fifteen minutes in bed. 2. Main character: Male or Female? Female... easier to relate to, I guess. 3. Sweet or salty snacks while reading? I'll reach for a salty snack before dinner. This week it's Nabisco Good Thins rice crackers, sea salt & pepper. Neither. I prefer stand alone novels, although I did love all four of Elena Ferrante's Neapolitan Novels. 5. First Person or Third Person POV? Either one, but please not second person! That tends to annoy me. 6. Night or morning reader? Night (or late afternoon) for physical books or ebooks... audiobooks and a walk in the morning. I'm very picky about the condition of books I read - no stains, funny smells, or badly battered books, please. Ebooks, new books, and digital audios are fine from the library, but I really love bookstores and new books! I don't read many funny books, so I must prefer books that make me cry. 9. Black or white book covers? White. Black covers suggest vampires, paranormal, etc... and you know how I feel about that! I want it all! If forced to choose, I'd go with character. Thanks for tagging me, Pat. If anyone else would like to play along, please consider yourself tagged! On a chilly February day, two old friends meet in the throng outside a crematorium to pay their last respects to Molly Lane. Both Clive Linley and Vernon Halliday had been Molly's lovers in the days before they reached their current eminence. Clive is Britain's most successful modern composer; Vernon is editor of the quality broadsheet "The Judge." Gorgeous, feisty Molly had other lovers, too, notably Julian Garmony, Foreign Secretary, a notorious right-winger tipped to be the next prime minister. In the days that follow Molly's funeral, Clive and Vernon will make a pact with consequences neither has foreseen. Each will make a disastrous moral decision, their friendship will be tested to its limits, and Julian Garmony will be fighting for his political life.A contemporary morality tale that is as profound as it is witty, this short novel is perhaps the most purely enjoyable fiction Ian McEwan has ever written. And why Amsterdam? What happens there to Clive and Vernon is the most delicious shock in a novel brimming with surprises. Ian McEwan's novels, though relatively short, are not quick reads. 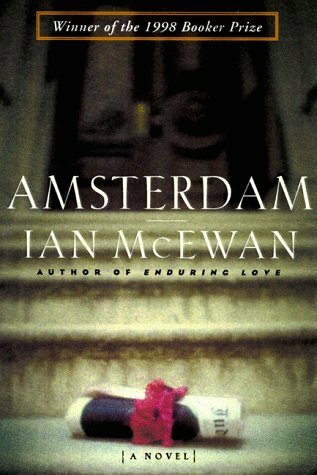 Between his often controversial or uncomfortable subject matter, perfectly constructed sentences that beg to be reread, and the contemplative mood his stories tend to induce, it took me over a week to finish Amsterdam, a novel of under 200 pages. Unfortunately, Amsterdam did not turn out to be a satisfying read. I didn't care for the story and positively hated the ending. I did not find it to be the "delicious shock" promised in the summary. That's not to say there was nothing to enjoy in this novel. Clive's meditations on music and composition were fascinating, and I enjoyed reading about his ramble through Lake District. The description of the trail and the countryside made me long for a similar day of hiking. But Clive stared ahead at the empty seat opposite, lost to the self-punishing convolutions of his fervent social accounting, unknowingly bending and colouring the past through the prism of his unhappiness. I now understand why some readers describe McEwan's work as uneven. After enjoying Atonement, In the Company of Strangers, On Chesil Beach, and The Children Act, I was somewhat disappointed by Amsterdam. It is, by far, my least favorite McEwan novel. However, this experience will not deter me from reading the rest of the author's work. Thank you Care and Brona for reading with me. "Darlings! Welcome! You must be Danielle?" Sleek and small, her wide eyes rendered enormous by kohl, Lucy Leverett, in spite of her resemblance to a baby seal, rasped impressively. Her dangling fan earrings clanked at her neck as she leaned to kiss each of them, Danielle too, and although she held her cigarette, in its mother-of-pearl holder, at arm's length, its smoke wafted between them and brought tears to Danielle's eyes. 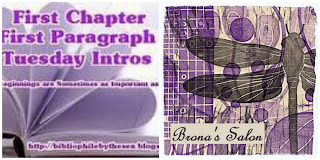 I'm experimenting with my Tuesday Intro post this week... expanding it by adding Brona's Salon, a new Sunday feature at Brona's Books. Please let me know what you think. 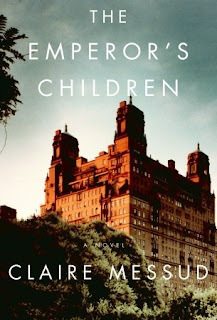 I'm currently reading The Emperor's Children by Claire Messud. I initially heard about it from other book bloggers. The premise sounded intriguing, but I was put off by mixed reviews. After loving The Woman Upstairs, Messud's later novel, I added The Emperor's Children to my reading list. Claire Messud is speaking at a nearby university early next month and my book club decided to plan a meeting around it. Most members will read The Woman Upstairs, but a couple of us are diving into her backlist. I love Messud's writing! Her word choices, sentences, and characters drew me in immediately, as did her description of New York City. She also really nailed upstate New York's "north country" in the second chapter. I had to check her bio to see how she might have gained such insight and found that she'd briefly attended Syracuse University's MFA program. Mystery solved. I understand where all of the main characters are coming from, but can't say I'm relating to any one in particular yet. The way the characters are presented in the opening chapters reminds me of The Interestings by Meg Wolitzer... another book I loved. Yes, definitely. I wish I had even more time to read right now. The groundwork is still being laid as I continue to learn more about each character. I have a feeling Frederick “Bootie” Tubb , the high school valedictorian and college dropout from the north country, will migrate to New York and have a negative impact on the lives of the group of friends from Brown. What do you think of the intro? Are you tempted to keep reading? Sunday morning - cold, dark, and windy. Many of the leaves have blown off the trees. It snowed yesterday in higher elevations nearby, but it was all rain for us. Still, it's just a matter of time. Hard to believe I was walking in Central Park last Sunday (the photo above was taken from Oak Bridge), but since then we've had a blissfully normal week at home. I was inspired to get an early start on my Classics Club spin book after visiting the Charlotte Brontë exhibit at The Morgan Library & Museum in New York. This is an autobiographical novel about Anne's time as a governess and, though it wasn't as enthralling as The Tenant of Wildfell Hall, I enjoyed it very much. I'll post a full review soon. The Woman Upstairs was a favorite a few years ago, so I decided to read Messud's earlier novel before hearing her speak at a nearby university in early November. 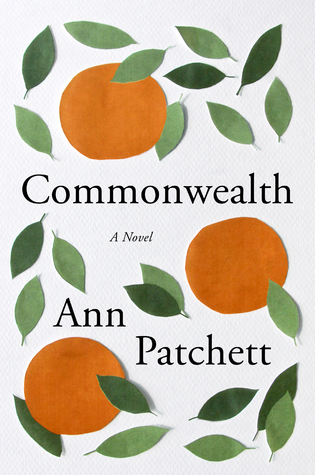 I'm not very far yet, but the writing is excellent and her portrayal of upstate New York's "north country" in the second chapter is spot on. I have high hopes for this one! Not my favorite James by a long shot, I've read this book twice and had a different impression of the ending each time. The audio version was mentioned on Litsy last week and after discovering Simon Vance was the narrator, I decided this short book (under 5 hours) would be a perfect pre-Halloween listen. 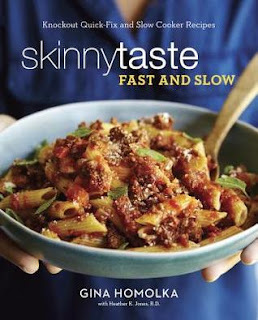 Skinnytaste Fast and Slow, a new cookbook by Gina Homolka, is the newest addition to my shelf. Her recipes are always a success, and the Slow Cooker Italian Sausage and White Bean Soup with Escarole I made last week was no exception. A Pinterest find: Slow Cooker Hasselback Apple Pork Loin is the perfect dinner for nights you need a complete meal ready and waiting when you walk in the door. 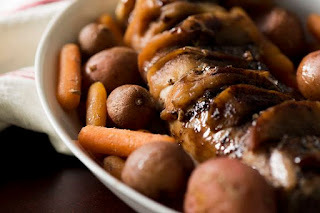 I've added this recipe to my Pin Wins board. We'll take Twin A to the train station. This weekend is her first time home since starting the new job last summer. We're also celebrating my twin sisters' 50th birthdays today... should be a memorable event! 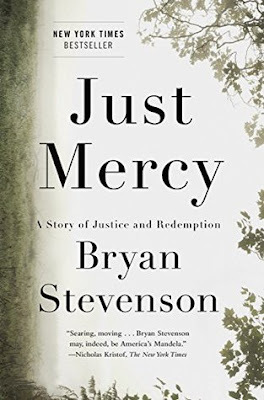 Bryan Stevenson was a young lawyer when he founded the Equal Justice Initiative, a legal practice dedicated to defending those most desperate and in need: the poor, the wrongly condemned, and women and children trapped in the farthest reaches of our criminal justice system. One of his first cases was that of Walter McMillian, a young man who was sentenced to die for a notorious murder he insisted he didn’t commit. The case drew Bryan into a tangle of conspiracy, political machination, and legal brinksmanship - and transformed his understanding of mercy and justice forever. You should read it, too... better yet, listen. "We need more hope, we need more mercy, we need more justice." All true histories contain instruction: though, in some, the treasure may be hard to find, and when found out, so trivial in quantity that the dry, shrivelled kernel scarcely compensates for the trouble of cracking the nut. Whether this be the case with my history or not, I am hardly competent to judge; I sometimes think it might prove useful to some, and entertaining to others, but the world may judge for itself: shielded by my own obscurity, and by the lapse of years, and a few fictitious names, I do not fear to venture, and will candidly lay before the public what I would not disclose to the most intimate friend. My current read was chosen for me by the Classics Club Spin. I loved Anne Brontë's second novel, The Tenant of Wildfell Hall, so decided to add Agnes Grey to my Classics Club list, too. The novel was published in 1847 and deals with the author's experiences as a governess. I'm approaching this as a read/listen combination... a surprise to no one, I'm sure. I "purchased" the free kindle edition from amazon, and that entitled me to a reduced-price audio from audible - only $3.95! I've read or listened to just over a third of the novel so far. It's not quite as good as Tenant (yet), but I am enjoying it. 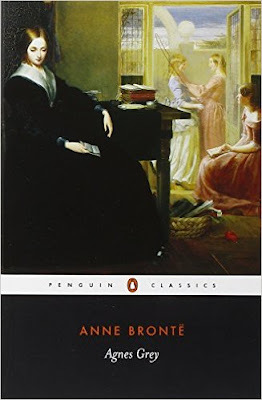 Between Agnes Grey and my recent viewing of the Charlotte Brontë exhibit at The Morgan Library & Museum, I have been inspired to finally pick up The Brontës: Wild Genius on the Moors by Juliet Barker, a book that has been on my shelf for years. When it comes to writing, we're all familiar with that basic rule. Julian Fellowes not only breaks it with Belgravia, he totally ignores it. This novel is ALL telling... and yet, still immensely enjoyable. 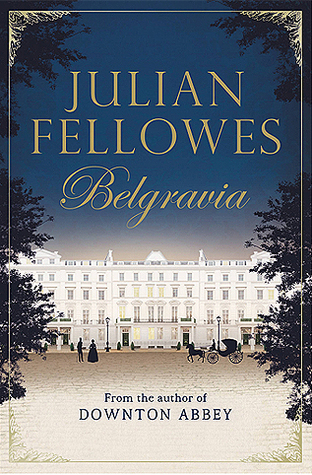 Belgravia is a rollicking good story filled with a big family secret, social class and position, upstairs/downstairs tension, and intrigue - so Julian Fellowes! While there's nothing special in the writing, Juliet Stevenson's narration is perfection. I could practically see the miniseries as I listened. And I'm guessing that's exactly as Lord Fellowes intended. I especially recommend this book as a follow-up to an intense, emotionally draining read. It was exactly what I needed after Germinal. 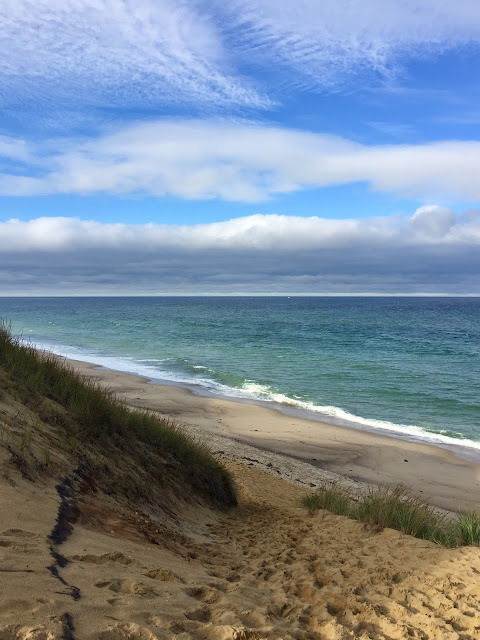 The photo above is from our hotel in Cape Cod. We took a quick road trip last week... the weather and the seashore were glorious! On Friday, drove up to the Adirondack Mountains for a day of nature and leaf-peeping. Foliage was at peak color and we found a new-to-us trail to explore. Tomorrow we are off to NYC to spend a few days with our daughters. As you might expect, reading time has been hard to come by. I finished Belgravia by Julian Fellowes a couple of weeks ago. The book brief is still in my draft folder... could have sworn I hit 'publish', but evidently not. Anyway, it turned out to be the perfect 'recovery book' after Germinal. I'll bring it to NYC tomorrow and let my Downton-obsessed daughters fight over who reads it next. I *should* finish both of these books today. For #damalong... with thirty pages to go, I am lagging behind. Ian McEwan's books may be short, but they are never a quick read. I borrowed both the ebook and audiobook (narrated by the author) from the library... it has enraged me and moved me to tears. The author will speak in my area this spring and I may just plan my return from Florida around it! This will surely be on my list of nonfiction favorites in December. 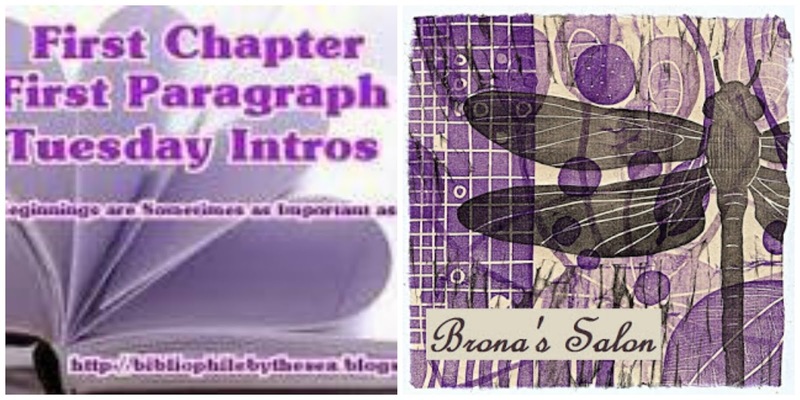 Click on the title to read the goodreads summary. The due date on my library book is fast approaching and I haven't even started yet. I'll bring it to NYC, but plan to buy my own copy if I can't finish in time. Ann Patchett is worth purchasing in hard cover! My Classics Club spin book. I'll be listening to this one, but also have the ebook on my kindle. Life should be back to normal next week... or at least my husband will be back at work, so I'll have time to read and blog again. Hope all is well with you (I'm sorry I haven't been able to visit your blogs for the past week or so) and you're reading some great books! The Classics Club Spin landed on number one, so I will read Agnes Grey by Ann Bronte. I loved The Tenant of Wildfell Hall when I read it a few years ago, so am happy with this outcome. I'll get started right after I finish Amsterdam... and Commonwealth. It's a good thing I have until December first! Which book did the spin select for you?